1. 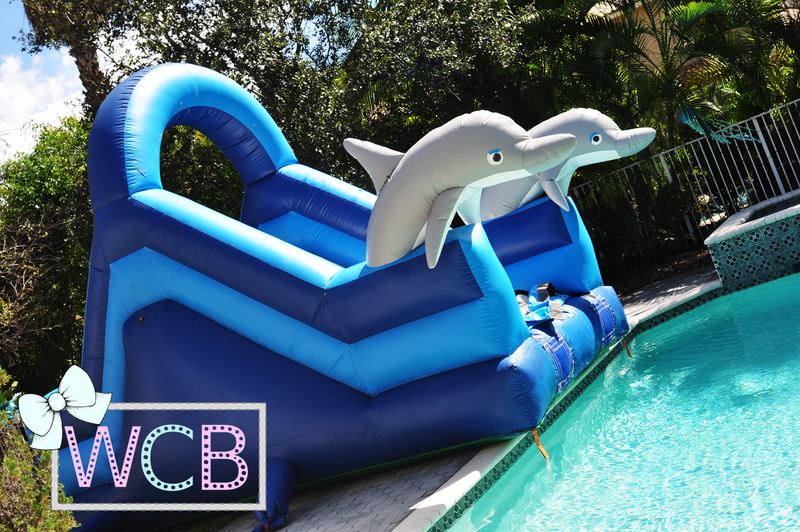 This party was originally supposed to happen in the summer, as a Vegas-style pool bash with my friends. It never happened, and I needed an idea to celebrate my 25th, so it just fit. 2. One night in the shower (where the best ideas just come right?) 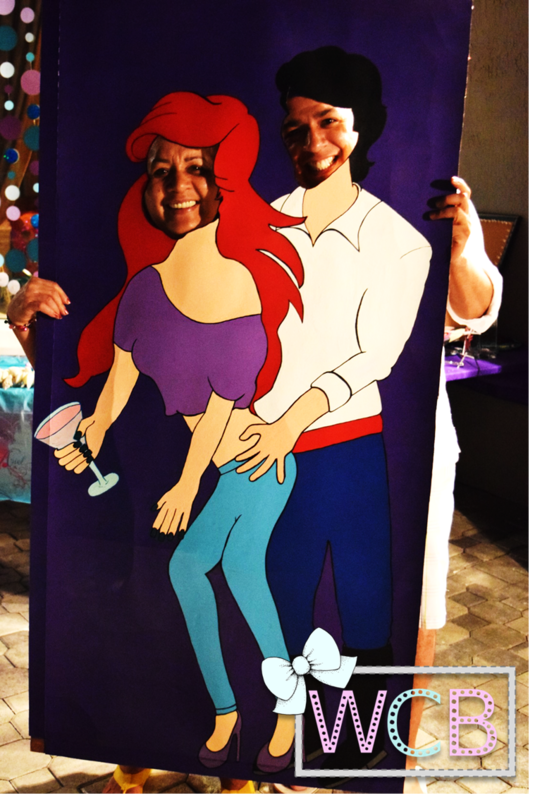 I was thinking about my love for all things Little Mermaid and then – BOOM – epiphany! 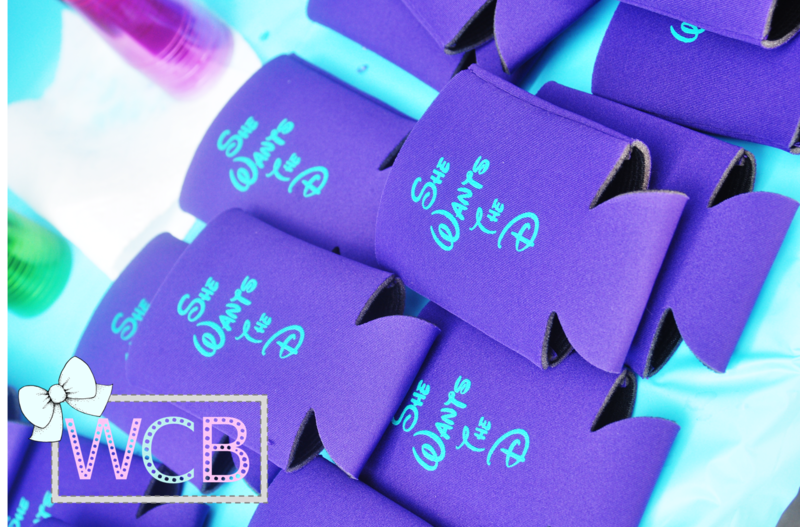 Pool party + Little Mermaid = perfection. 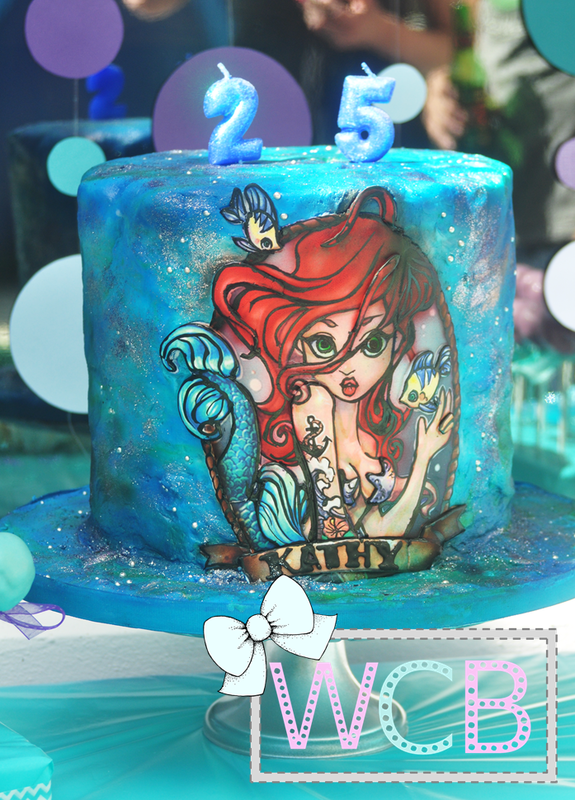 Obviously, as a 25th birthday, the concept became more of a “Little Mermaid Grew Up and went to Vegas” theme, and all the innocence went out the window. 3. Everything started coming to me right then and there. 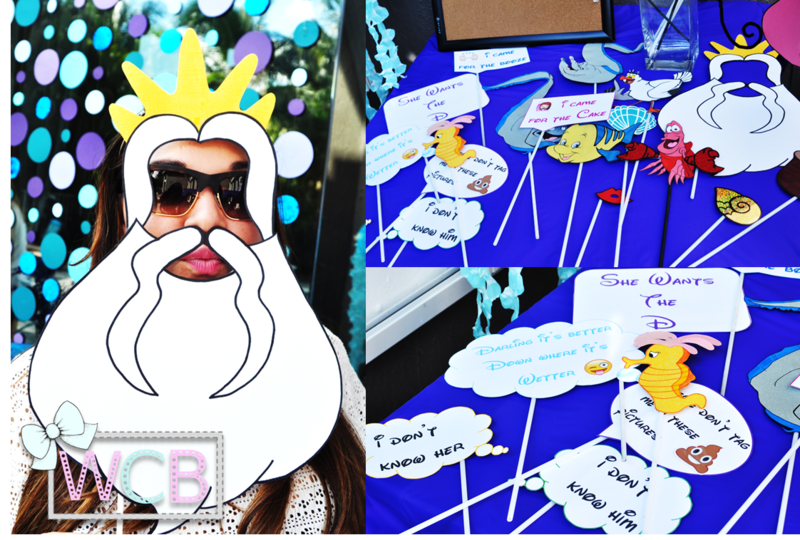 I went on Pinterest and created a secret board called “Mermaid Party” (now public) with lots of ideas to keep in mind, and my event planner self went into overdrive, creating Word docs, Excel Spreadsheets… the works. I started going to thrift shops and bought a few things for super cheap, which gave me room to spend more on the important things. 2. The Slide: I had thought of getting a slide, but then dismissed the thought for fear it would be too expensive. Then my friends brought it up, and they helped me find this one from Miramar Party Rental, which just fit the theme perfectly! 4. The Props: This was probably one of the first things I started doing. I practically made everyone’s hair/heads (even Grimsby! ), and a few inappropriate sayings to go along. “Darling it’s better down where it’s wetter” – I mean, how could I not?! Making photobooth props is probably one of the things I enjoy doing the most, and I discovered some pretty good drawing skills I didn’t know I had. 5. The Bathing Suit: of course with all of the theme decor in place, I had to look the part! I found these high waisted mermaid bathing suit bottoms (even better, ready to ship) from Alicia Zenobia’s Etsy shop, and the top is originally from Tommy Bahama, but I purchased it for half price at 6pm.com. I also wore this Ariel top from Hot Topic to cover up. 6. The Dessert Table/Backdrop: I saw this backdrop on Pinterest/Etsy, and in an effort to save money wherever I could, I decided to make it myself (no cricut!). The dessert table also had these Cake Pops (I had never made them before, and I must say, they came out pretty good for my first time) some Brigadeiros (a Brazilian truffle my coworker taught me how to make), white and purple sixlets chocolates (like M&Ms), and some shiny teal gumballs to complete the color scheme. 7. The Face-In-Hole: this was one of those things included in the “i had way too much time to plan this party and kept coming up with more things to do” category. I had a huge cardboard cover from my Ikea desk, and I started thinking it was a good potential face-in-hole canvas. I made it a little raunchy to keep up with the adulthood level of the party, and my friends had a lot of fun with it! 8. 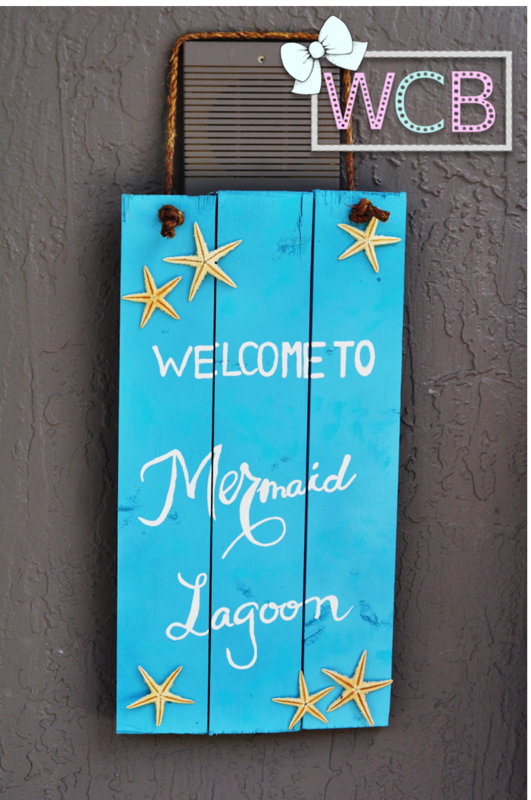 The Mermaid Lagoon Sign: once again, let’s thank Pinterest for existing and running my life. I pinned this sign to my Mermaid Party board, and I just knew I HAD to make it myself. I bought a long plank of wood from Home Depot, sawed it into 3 chunks (there was actually a 4th smaller piece I ended up using to make a bathroom sign so my guests knew which door it was) drilled it, painted it, and voila! 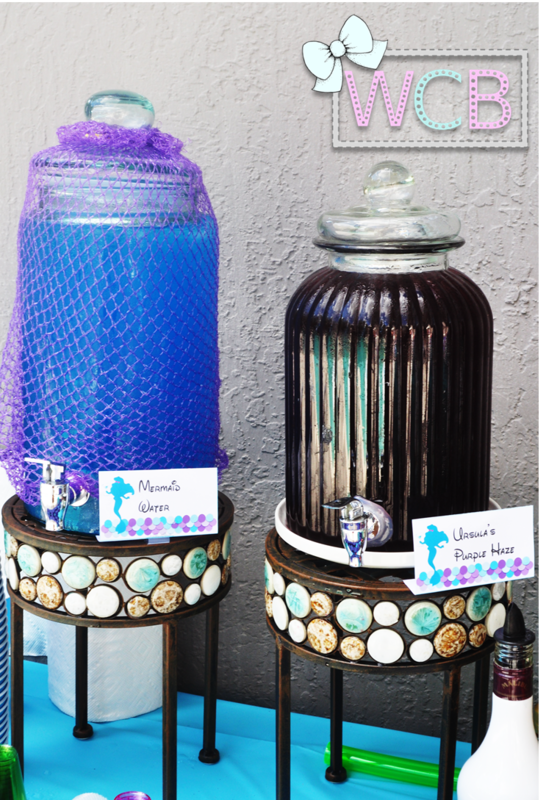 Medusa/Jellyfish – great piece to decorate a big yard! I couldn’t forget the candelabra for my Dinglehopper! **Tutorial on how to make the Chinese Lantern Medusa/Jellyfish here, or you can buy them directly from my Etsy shop. Anddddd that’s it. Again, I am beyond ecstatic to finally get to share this, I hope you get some good ideas for your own events, and feel free to comment below and leave your feedback! I will be posting some of these items on my Etsy shop for anyone who may be interested in buying them for their own parties.